Starbucks customers in Portland are to be the first in the US to be able to order and pay for their coffee ahead of arrival and the service will be rolled out across the country in 2015, the company has announced. The move follows the introduction of a QR code-based mobile ordering service in Korea in June. “Starbucks will introduce for the first time Mobile Order and Pay in stores within the Portland area before the end of the calendar year,” the company says. 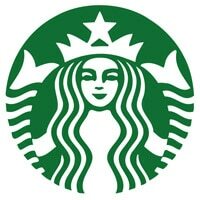 This “will enable customers to place orders in advance of their visit and pick them up at their selected Starbucks location. The Starbucks loyalty program is also to be upgraded for users of mobile devices, the company adds. “My Starbucks Rewards will deliver more meaningful, relevant and personal rewards to its customers, right at their fingertips. “Benefits include access to special events such as the upcoming Holiday Share Event, sneak previews of new products and promotions and additional opportunities to earn and redeem rewards across the Starbucks family of brands”.